Over 8 thousand km of overhead power lines of different voltage classes, 44 substations with the voltage of 35-110 kV and 2200 transformer substations 6-10/0.4 kV have been repaired over the 10 months of 2012. One of the priority fields in the activities of power engineers this year is the capital repairs of overhead power lines. So far the total length of the repaired lines have comprised 8150 km. Almost 7.5 thousand km out of this amount are power transmission lines 0.4, 6-10 kV, which provide power supply for residential houses and social infrastructure facilities of the region (hospitals, schools, kindergartens, boiler houses and pump houses). 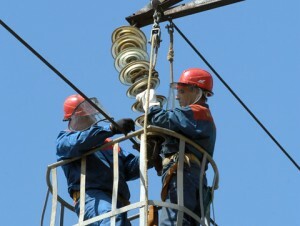 Besides, they have completed the repairs of such important facilities for the power supply of Nizhniy Novgorod region as the substation 110/6 kV Sotsgorod and Sverdlovskaya in Noizhniy Novgorod. The substation 110/10/6 kV Zapadnaya in the responsibility zone of the production unit Dzerzhinsk Power Grids, the substation 110/6 Bogorodskaya in the responsibility zone of the production unit Kstov Power Grids, the substation 110/35/10 kV Gagarinskaya of the Urenskiye Power Grids and the substation 110/6 kV Vyksa of the South Power Grids. As the director of Nizhnovenergo Oleg Shavin pointed out, the grid company has been annually increasing the speed f the repair program execution. Over 1 billion 114 million rubles were spend on the repair activities at the facilities of the power complex of Nizhniy Novgorod region.